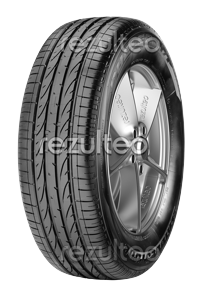 Find your Bridgestone 4x4 tyres with rezulteo. Our site lists 60 models of Bridgestone tyres, representing 1097 individual tyres. The most common sizes are 255/55 R18 109H, 10.5/0 R15 109S, 215/65 R16 98H. Summer tyre for powerful SUVs.